What is a Noise Generator? 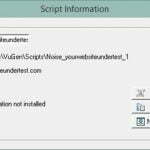 How to add Noise Generator to your script in LoadRunner? In this article, we will see about noise generator in performance testing and its purpose. 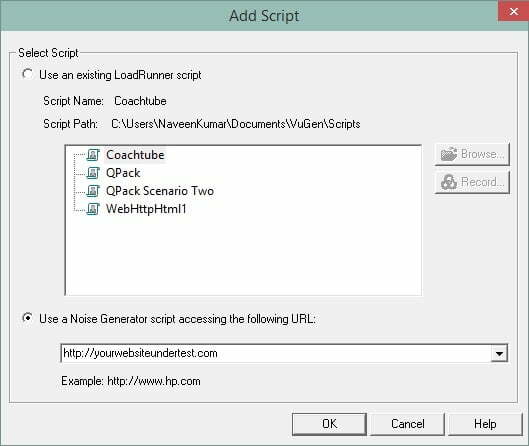 Recently HP has released its latest version of LoadRunner 12.02 with the capability of adding noise generation in the Controller. We can follow two approaches while testing the performance of the application: with noise generation and without noise generation. Typical tests with complex business scenarios, actions, transactions, etc. would be without noise generation. 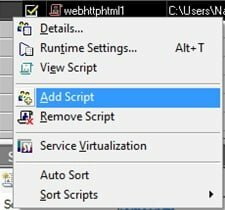 Along with a complex business scenarios, actions, transactions, if you add a small load of GET request of the core URL that you are testing creates a noise in the background. This is called Noise Generator. 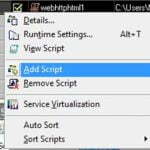 In Design tab, right click on the script and select Add Script as shown below. Select Use a Noise Generator script accessing the following URL: and enter the URL under test as shown below. 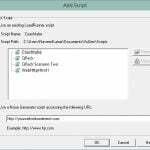 Script path will be automatically added with the prefix “Noise_”. If you see the details of the script, you could see the script type as Noise as shown below. Please note that you need to pay one tenth of the price of a regular virtual user. 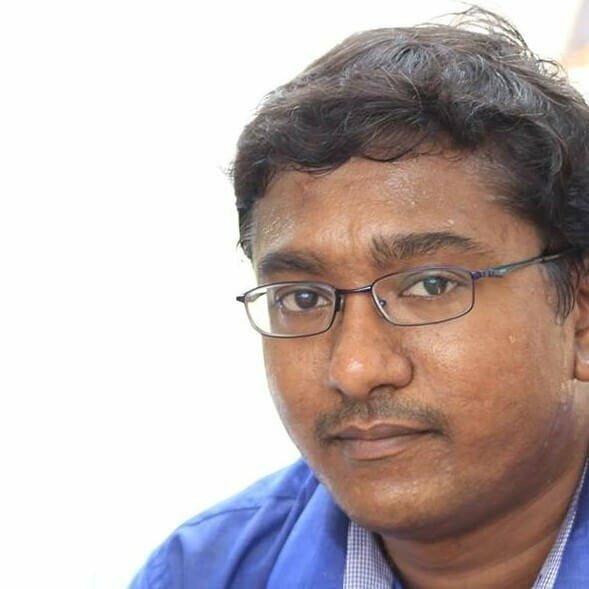 I am NaveenKumar Namachivayam, a performance test engineer. My mission is to help and transform manual/automation testers to performance testers and engineers. Also, I love to develop crappy apps, create YouTube tutorials and write about the current trends in performance testing. Subscribe now to receive latest updates. What’s new in Micro Focus LoadRunner 12.62? Have a suggestion? Click here to provide your feedback.